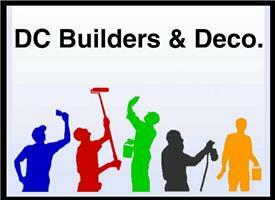 D & C Builders and Deco - Painter/Decorator based in Feltham, Middlesex. Hi, My Name is David. I'm the Owner of DC Builders and Deco. I have been in the Decorating Trade for over 30 years’. Completing Job's from Single Room's to Whole Hotel Chain's. All My Building & Decorating Work is carried out by Insured, Trust Worthy Tradesman, Including Myself. We provide the Best Service, at all times. We are a Fully Insured Team who are Passionate about Our Work. Free Quote's and the best possible Advice are always Provided. We Pride Ourselves on Our Appearance, Tidiness, and Workmanship. No Job is too Big, No Job is too Small. Please feel free to Call, Text or Email Anytime.